This low growing woody stemmed perennial is usually grown as an annual by most gardeners. 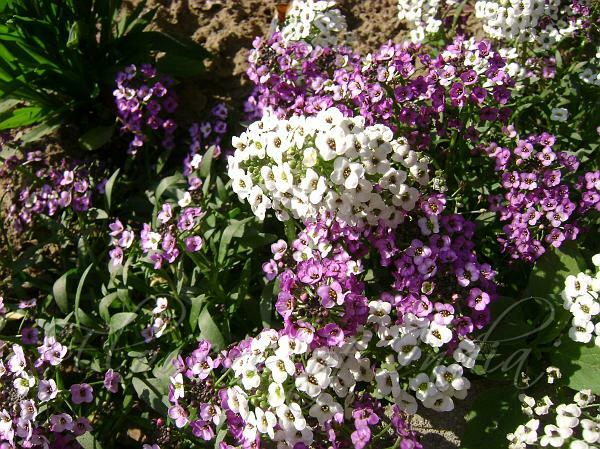 Forming dense mats less than 30 cm in height sweet alyssum covers itself densely with delicate white, pink or purple blossoms to create splashes of color in the landscape. Flowers are arranged in terminal clusters and come in single and double with a fragrance that resembles warm honey. In temperate climates it will often flower for most of the year but can look a bit ragged during the hottest months. Alyssum has tiny green leaves which are mostly hidden beneath the blooms. 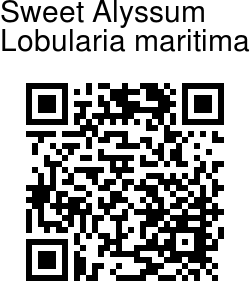 A hardy, fast growing plant for borders, mass displays and rockeries that flowers within 8 weeks of sowing seed.